More clues hint that the South Korean electronics giant is working on releasing the Samsung Galaxy Tab S4 this year. Recently, a regulatory filing supposedly for the said tablet was spotted while another report revealed its leaked specifications. The TENAA regulatory commission of China’s Ministry of Industry and Information Technology granted a certification on July 12 for a Samsung-made device with model number SM-T835C. The filing does not specifically mention the Samsung Galaxy Tab S4. 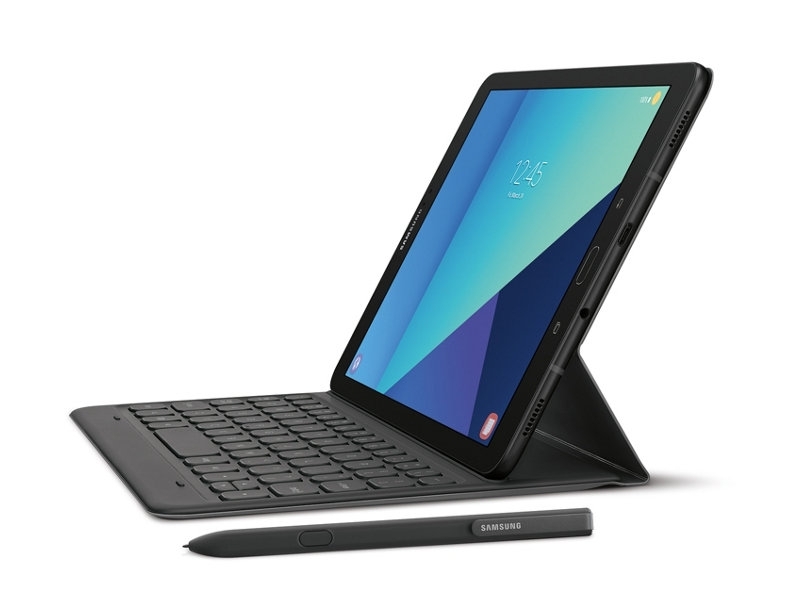 But it can be recalled that variants of its predecessor, the Galaxy Tab S3, were assigned with model numbers SM-T820 (Wi-Fi only) and SM-T825 (Wi-Fi + cellular connectivity). Unfortunately, the TENAA filing does not reveal much about the Samsung Galaxy Tab S4 specs. However, the certification confirms that the company will once again release a tablet variant that supports both Wi-Fi and LTE connectivity. On the other hand, seeing a Wi-Fi only model of the Samsung Galaxy Tab S4 remains very likely. Meanwhile, SamMobile said on Tuesday that they can “exclusively confirm” the Samsung Galaxy Tab S4's technical specifications. For one, the tablet will reportedly sport a 10.5-inch Super AMOLED screen with 2560x1600 resolution and supports 16:10 aspect ratio. Though the Samsung Galaxy Tab S4 will reportedly not feature the most advanced mobile chipset from Qualcomm, its rumored CPU still counts as an upgrade. A Snapdragon 835 SoC is expected to power the tablet while its predecessor, the Galaxy Tab S3, had Snapdragon 820. The standard memory capacity of the Samsung Galaxy Tab S4 pairs a 4GB RAM and 64GB internal storage. Though Samsung might not release other configurations, these specs are also a good jump from the Galaxy Tab S3’s 32GB internal drive. The Samsung Galaxy Tab S4 is also expected to come out of the box with the Android 8.1 operating system. Its hardware specs consist of 13MP and 8MP cameras on the rear and front, respectively, as well as a 7,300-mAh battery pack. One very interesting change in the Samsung Galaxy Tab S4 is the addition of the iris scanning technology. However, Samsung has reportedly decided to remove the fingerprint reader. Note, though, that Samsung has not yet confirmed any details about the Samsung Galaxy Tab S4 specifications as well as its official launch date. But with the number of leaks and official regulatory filings seen online, the upcoming tablet is most likely going to be unveiled before this year ends. August is already a busy month for the company due to the launch of the Galaxy Note 9. That makes the Berlin IFA 2018 conference in September one of the most possible venues to unveil the Samsung Galaxy Tab S4.